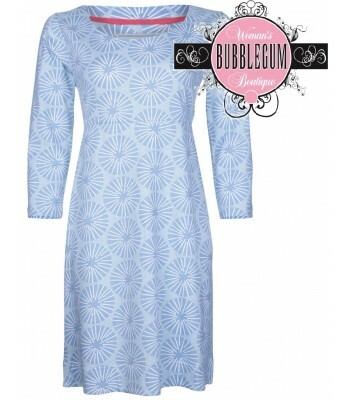 This seaside/coast-inspired 3/4 Dial Tunic Dress from Brakeburn features a bold all-over print. It's made from soft-feel 50% cotton and 50% modal blend. Length (shoulder to hem): 90cms.